Kanga Loaders has added the ‘Drill Mast’ to a lengthy list of attachments for its 8 Series Skid Steer Loader to provide an instant drill rig facility that is simple to use by even the most inexperienced operator. It eliminates reliance on large, truck-mounted drill units which can cost up to six times as much. The technology suits many applications across the industry spectrum including preliminary mining and quarrying exploration, geotechnical applications for earthmoving and excavating, electrical earth applications for electrical companies, and many more. 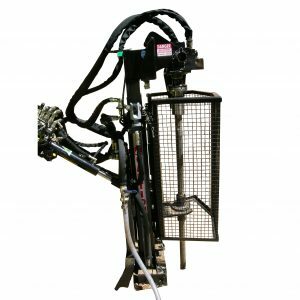 The Drill Mast has been developed for those who need a compact, maneuverable drill rig and Kanga has designed this attachment to be used in many ways. It can drill through any core ranging from soils and clays to solid rock. 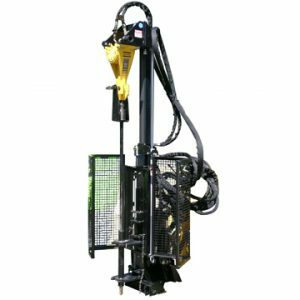 It can be fitted with conventional augers for normal drilling in soil and if the going gets tough can be changed out to run a “Down the Hole Hammer” or pneumatic hammer. When fitted with continuous flighted augers it can be used for geotechnical applications for undisturbed soil sampling and general testing. 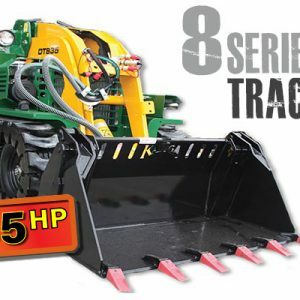 It is ideal for straight out sand/soil work reaching depths of 20 metres or more. The mast has 1.8m telescopic travel length and can be adjusted hydraulically to drill vertically or at an angle. There are many satisfied Kanga owners using this attachment with a 55mm diameter Down the Hole Hammer and digging to a depth of 20m or more through solid rock for electrical earth installations. Several Kanga owners are using a 90mm diameter Down the Hole Hammer to a depth of 50m with great success. The Kanga 8 Series Loader with “Drill Mast” also has a high level of transportability. It is a flexible and easy to transport unit compared to high capital cost, heavy, one-use-only machinery.